Hungarian officials threatened to use its army to stop the flood of migrants entering the country. 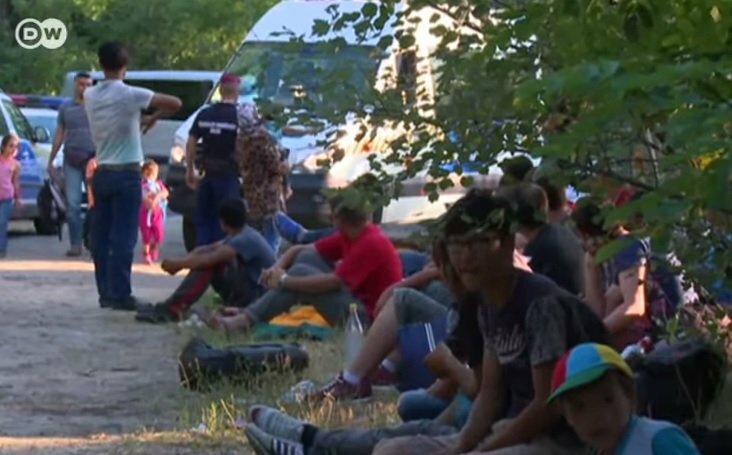 More than 100,000 migrants have entered the Eastern European country this year. An estimated 1,500 immigrants a day are illegally entering the country. Hungary is constructing a 108 kilometer fence on its border to protect the country. Hungarian authorities have been rolling out a low, barbed-wire barrier along the border with Serbia as a temporary measure while construction crews race to complete a more substantial 3.5-metre-high fence however some migrants were underrered, braving the new fence to avoid police checks. Critics point out that the vast majority of migrants who enter Hungary which is part of Europe’s Schengen zone of passport-free travel, do not linger, determined to reach the likes of Austria, Germany and Sweden where they join up with relatives and friends in search of work and security. More than 100,000 migrants, many of them refugees from the Syrian civil war and other conflicts in the Middle East and Africa, have entered Hungary this year en route to the more affluent countries of western and northern Europe.